There are many ways you can donate to the Central Massachusetts Disaster Animal Response Team. From an online gift to a donation of goods (such as leashes and food bowls), your contribution will have a major impact on the lives of people and their pets affected by disasters. CMDART, Inc. is an independent, charitable, 501(c) (3) non-profit organization, and does not benefit from any state or federal funding. The organization depends solely upon grants and private contributions to full fill its mission. 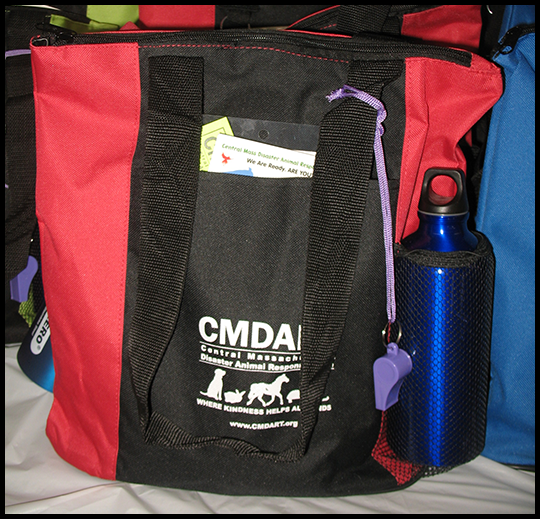 For more information about CMDART or to make a contribution of any size, contact treasurer@cmdart.org or call 508-476-2873. To become a monthly giving partner contact treasurer@cmdart.org and sign up. Your small monthly giving amount of even $25.00 a month can help us with the following: helping pet owners who are victims of fires, website management, disaster equipment upkeep, signage for events, prevention educational and training materials, funds for disaster response like gas and transport of animals, purchase of uniforms for volunteers and much more. Tags for Tails is June 15 , 2019. Sign up to contribute goods and help us for the annual fund-raiser. Call 508-803-1989 to donate or help. Donation of goods start April 15 this year. Be ready for an emergency for your pets! Purchase Pet Go Kits at any of our upcoming events or by mail. 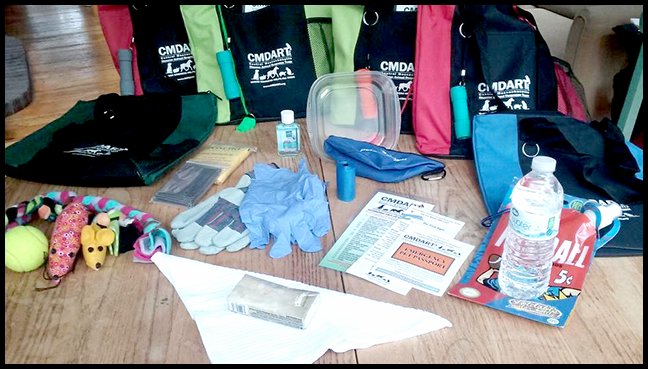 includes our own CMDART designed personal preparedness literature. Donations of clean, usable pet supplies. Office products, or other emergency equipment are always greatly appreciated. Donations of pet food are accepted at the time of a disaster only. CMDART reserves the right to refuse products that we cannot use or store at the time of donation. CMDART is grateful for private donors who have helped us “feed the pig”, as we call it. As many of you know, our little “feed the pig” program, seen at many of our events, is literally asking for private donations in a piggy bank, that helps us pay for our equipment storage lockers and storage supplies, bookkeeping and accounting fees, office supplies, registration of our response trailers, website management and other basic operating expenses. As you can imagine, most grantors are funding causes for more severe human needs right now that pushes pet organizations, in general, to the bottom of the pile. 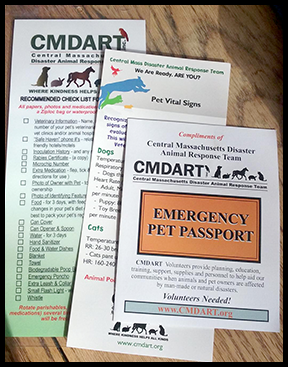 CMDART works in cooperation with local emergency management, local animal control officers and public health departments and aids municipalities which seek to comply with the Pets Evacuation and Transportation Standards Act (PETS ACT). This law, established in October 2006, require a local and state emergency preparedness authorities to include household pets and service animals in their evacuation plans. Animals affected by disasters can include small and large animals such as pets livestock and exotics. If you are a Federal Employee or know a Federal employee, please ask them to consider making a contribution to CMDART,Inc. Our team has once again been approved to receive donations via the Combined Federal Campaign program through the assistance of the Animal Welfare Fund. The CFC is a program that encourages federal employees to make contributions to charities of their choosing. The CDC reference code for CMDART is # 22157. We are listed under Disaster Animal Response Team for the following five zones: Eastern Massachusetts, Greater Hartford, Northern NE (Vermont and New Hampshire), Rhode Island and Southeast Mass, plus Western Mass. We are very grateful to the Animal Welfare Fund for helping us to get approved again. 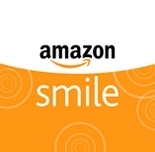 For those of you who have already contributed, we thank you very much for supporting our mission.